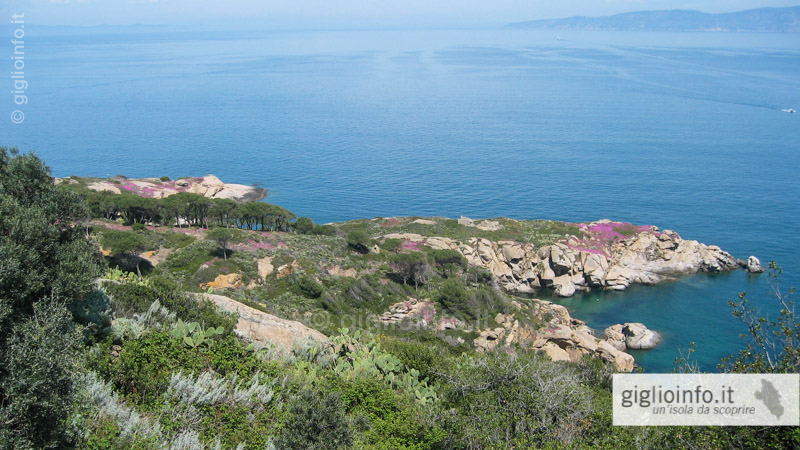 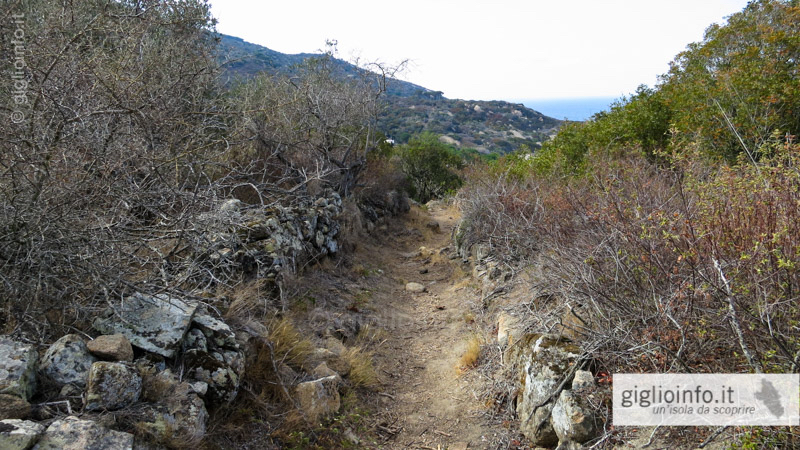 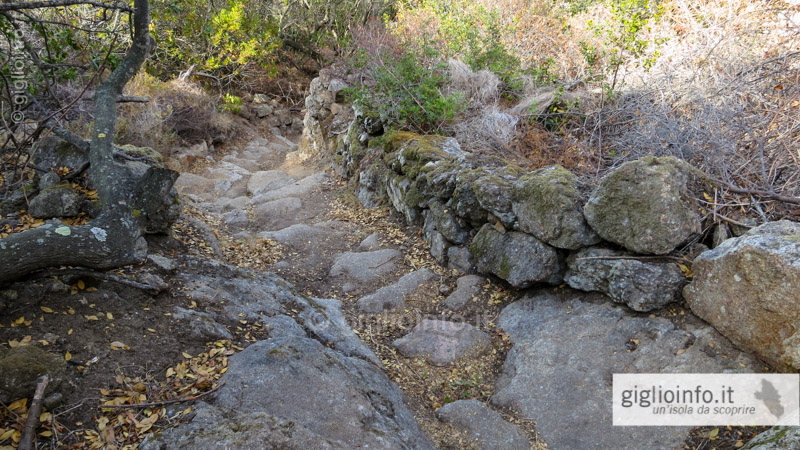 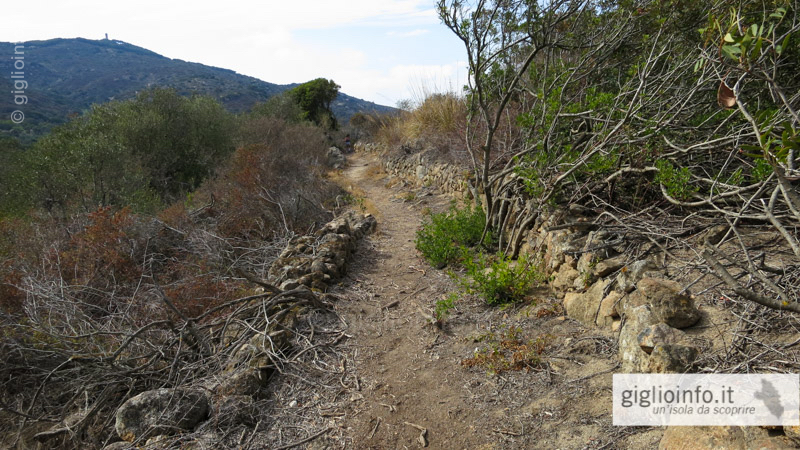 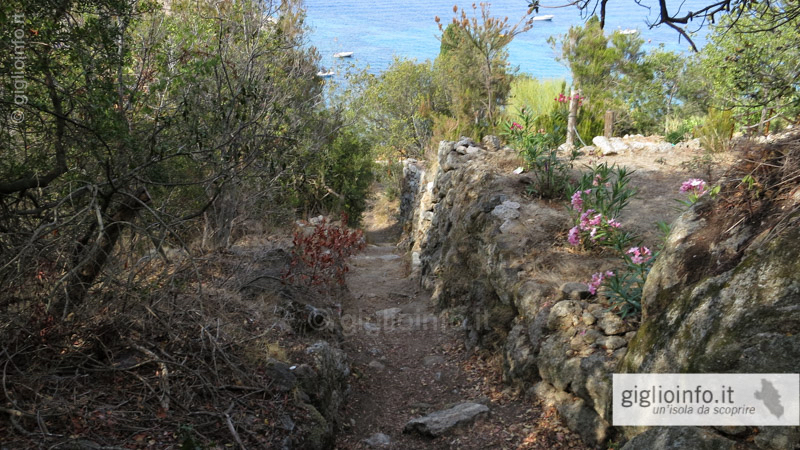 Trail 1A takes you through ancient terraces and Mediterranean Machia to the beach of Arenella. 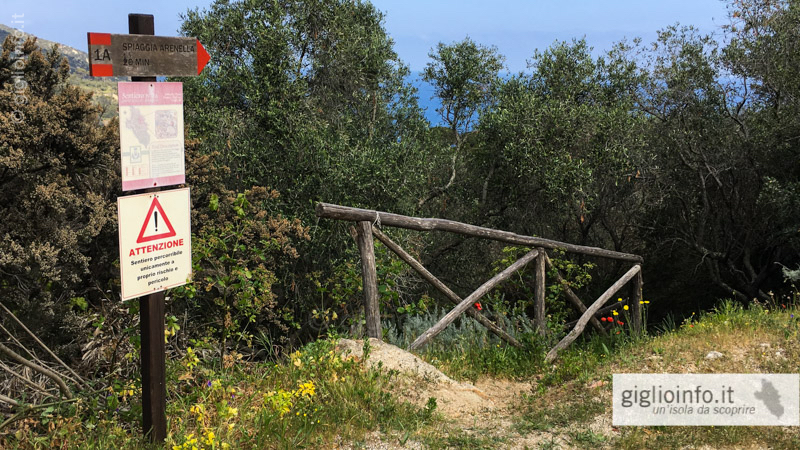 The actual trail is only a little over half a kilometer and starts at the heliport on the road that leads down to Arenella. 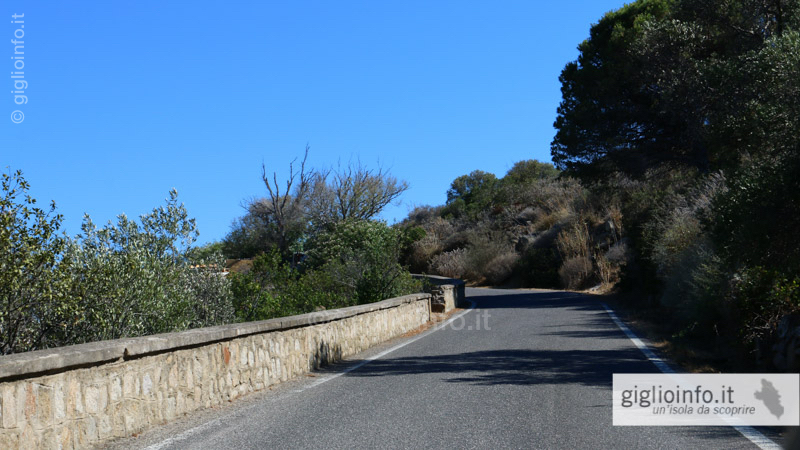 From the port, you must first go up a paved and quite steep road (Via del Castello, 800 meters, 20 minutes) to Monticello. 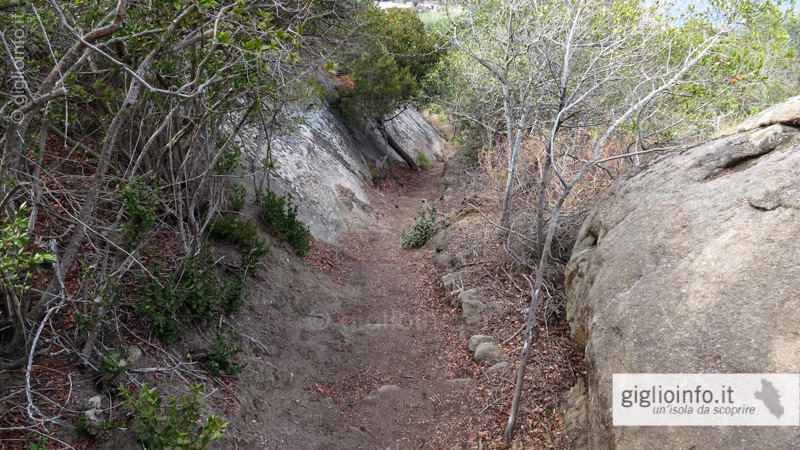 Alternatively, you can take the bus for the first piece. 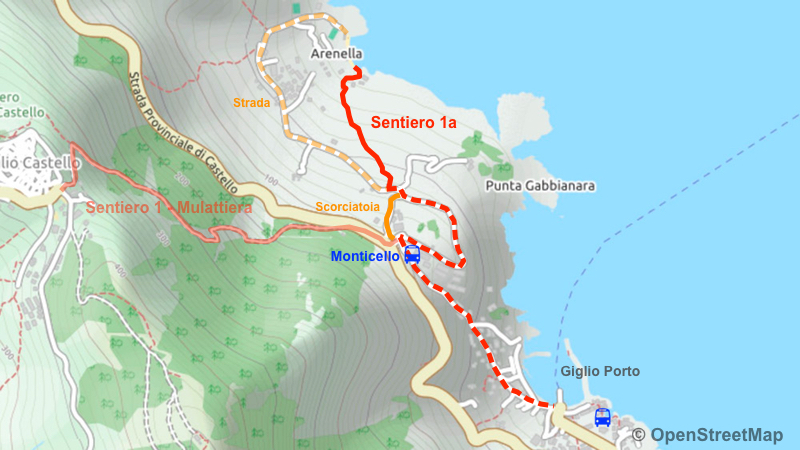 From the Monticello, take either the paved panoramic road in the direction of Arenella or the shortcut (beginning on the left side of the wall of the Hotel Castello Monticello) to the height of the heliport where the Sentiero 1a begins. 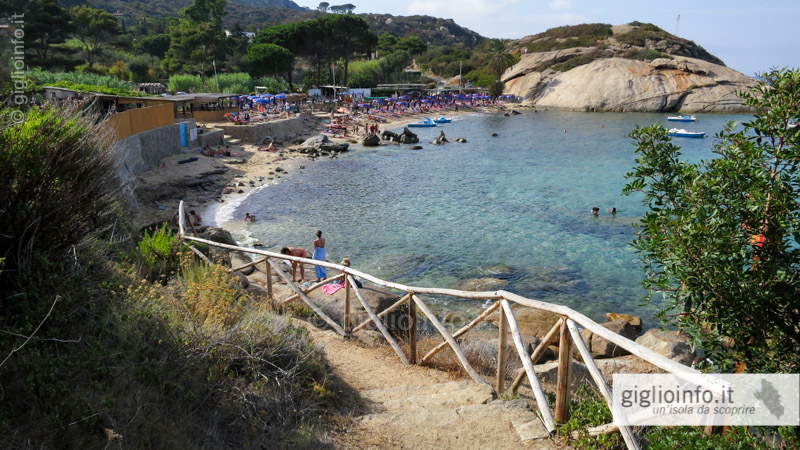 We are looking forward receiving comments, pictures or reviews. 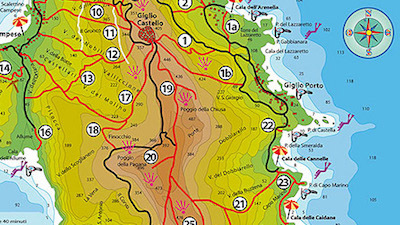 Just send us a short e-mail: giglioinfo@gmail.com.